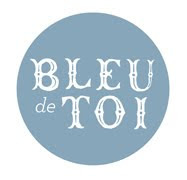 Bleu de Toi is excited to announce a new fingerprint guestbook--the Rainbow Trout--perfect for family reunions, dad celebrations, kids' birthdays, or any rustic event. 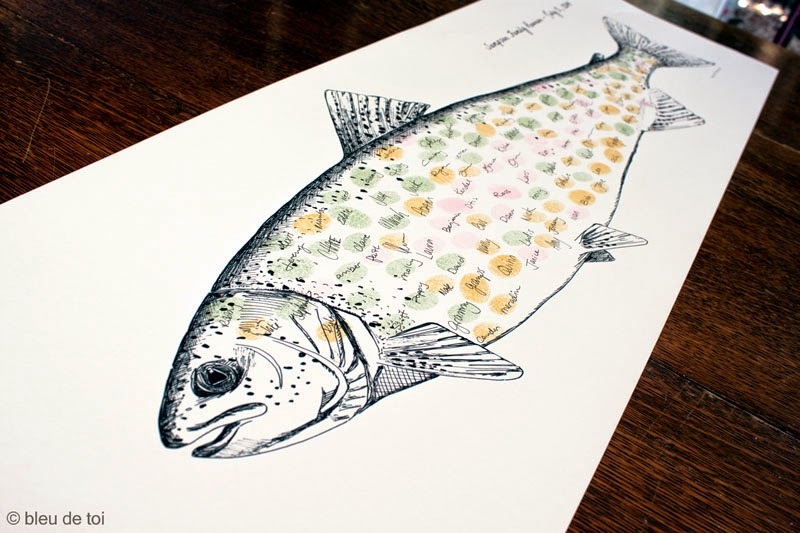 We love the subtle scales of fingerprint color that bring this trout to life. We used Bundled Sage, Spun Sugar Pink, and Scattered Straw, but it would be fun to experiment with our other ink colors as well. 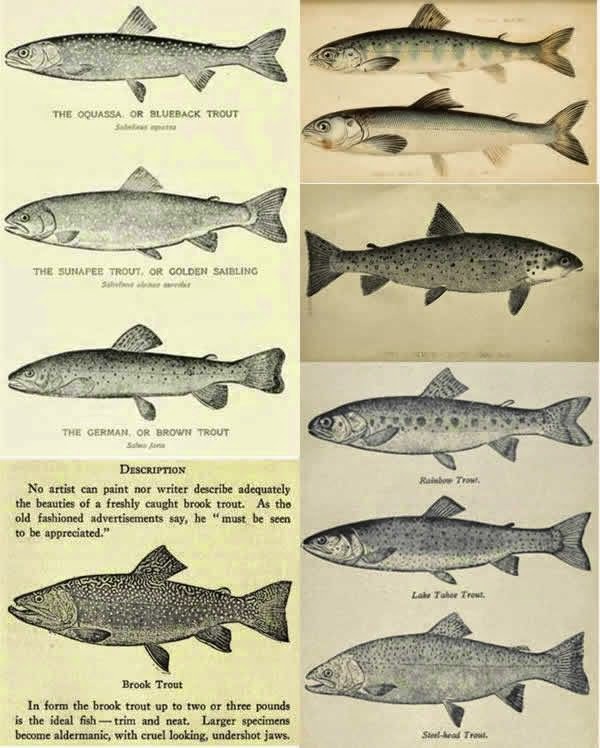 The Rainbow Trout currently comes in a medium or large size to accommodate your guest list. 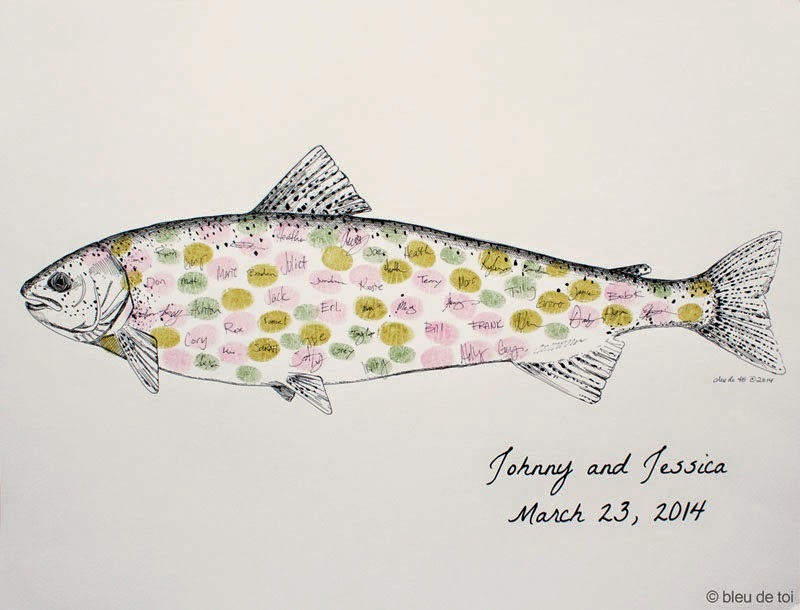 Available in our shop as well as on etsy. 3) vintage mountain postcards for unique save-the-dates/invites. 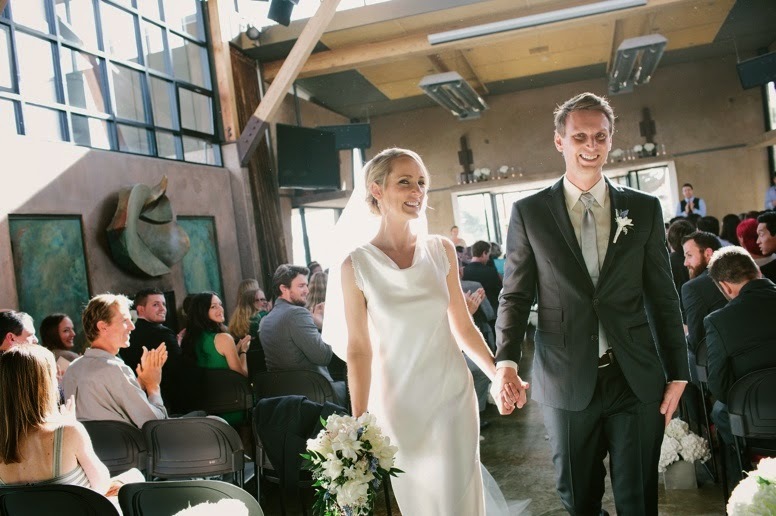 Jesse and Luke's wedding is a perfect example of simplicity done right. 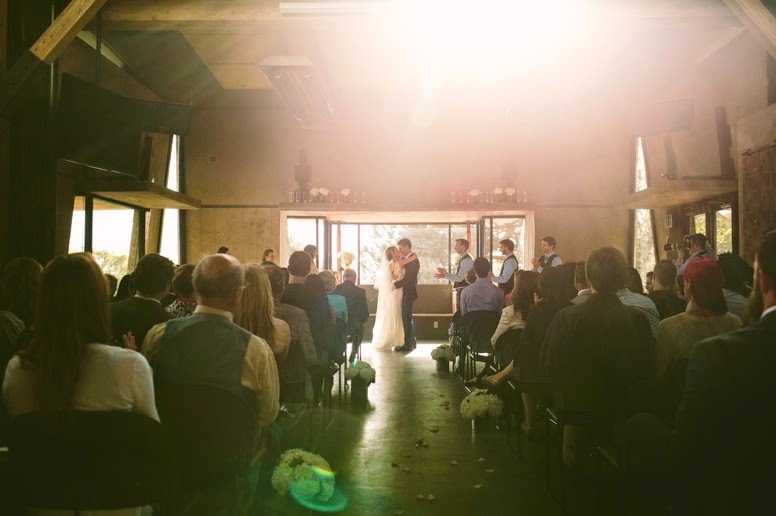 Importantly, they chose a venue with architectural drama: the Founder's Hall at the Unitarian Universalist Fellowship of San Dieguito, with its stunning windows, modern lines, natural wood and contemporary sculpture. White hydrangeas added bright accents down the wedding aisle. 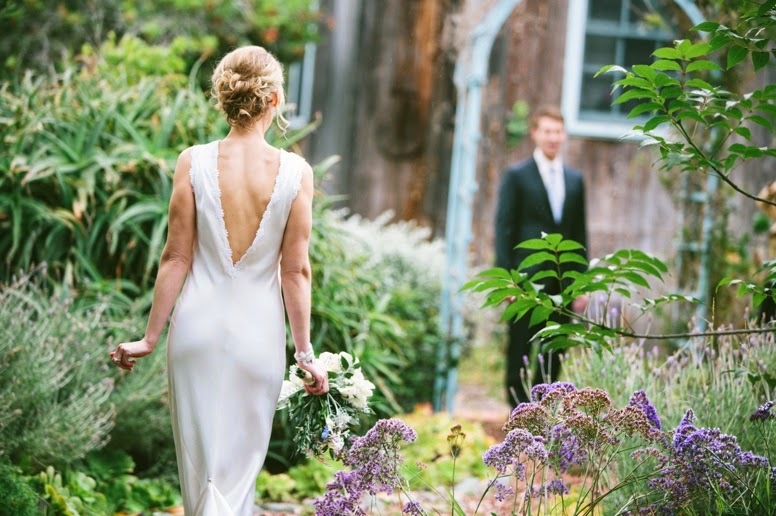 The gardens outside the church, with their wild natural beauty, provided an exquisite backdrop for Jesse's lovely white sheath. 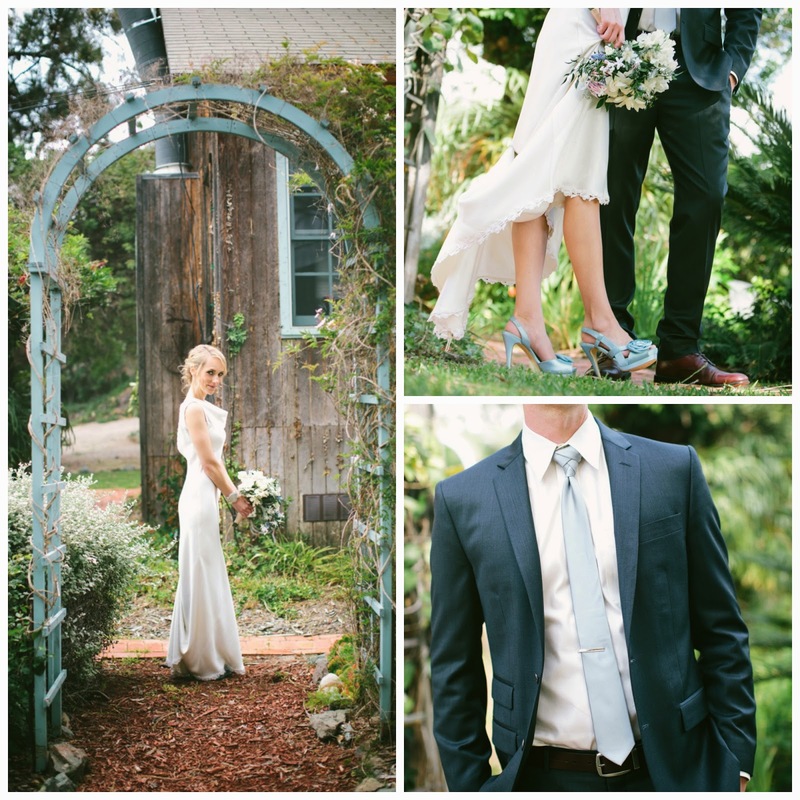 We love the small details of this wedding, like how the color of Jesse's shoes match Luke's tie, a color also echoed in the robin's-egg blue of the garden arch. To see some amazing black and white shots of Jesse and Luke's wedding, check out photographer Leah Vis's blog at Vis Photography. Her two other Jesse and Luke blog posts can be found here and here. More and more, we're hearing about "baby sprinkles"--a popular new way to "sprinkle" a second or third child with a few gifts, and celebrate its upcoming arrival, without having the kind of full shower a first-time mother usually needs. 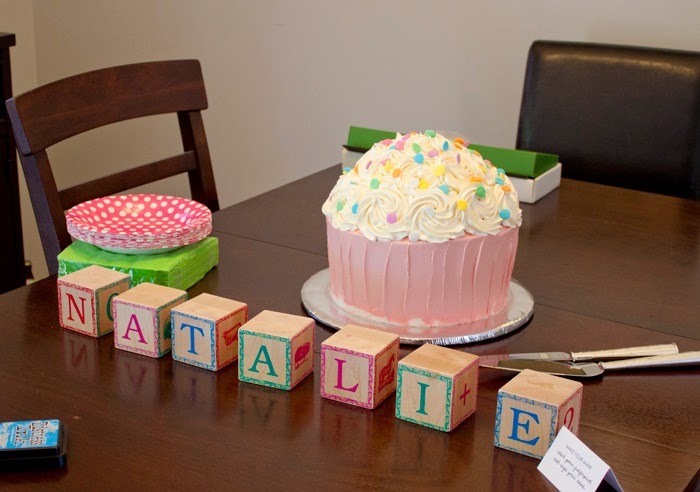 It's especially fun to be able to include older siblings and turn the "baby sprinkle" into a kid-friendly party that also celebrates their new role as big brother or sister. 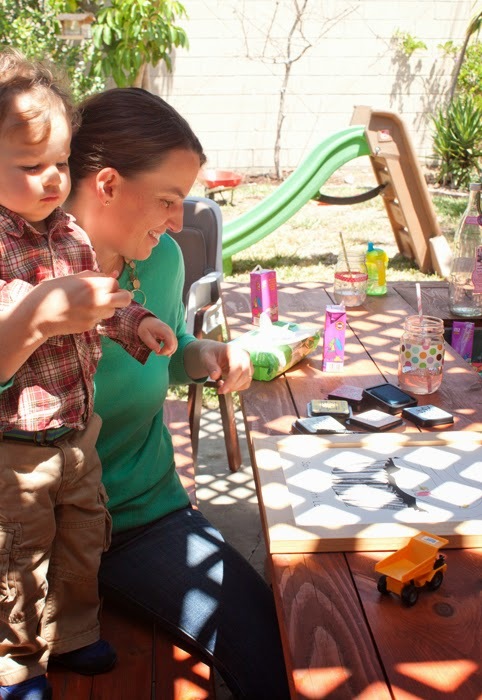 Hilary recently co-hosted a baby sprinkle that centered on the theme "Sprinkled with Love". Guests left their fingerprint signatures on the Bleu de Toi Sprinkles Cupcake design. 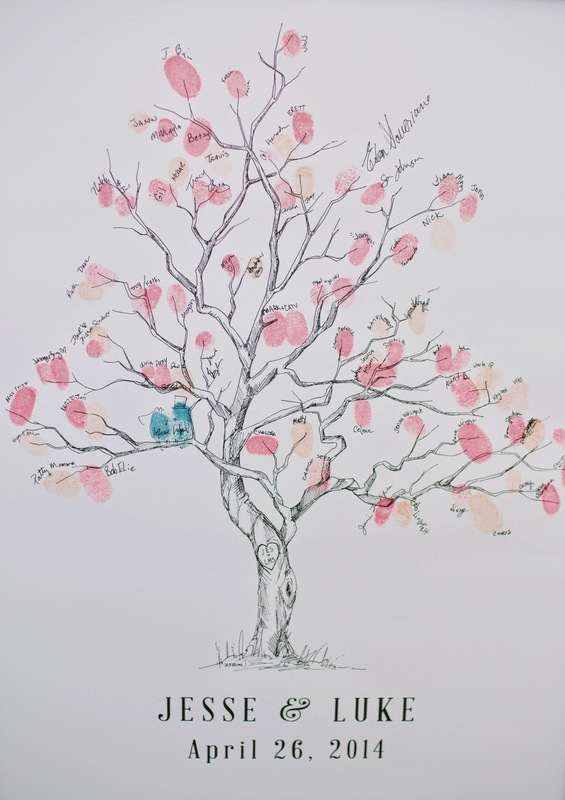 More fingerprints will be added by grandparents, family and friends who come to visit the new baby girl! 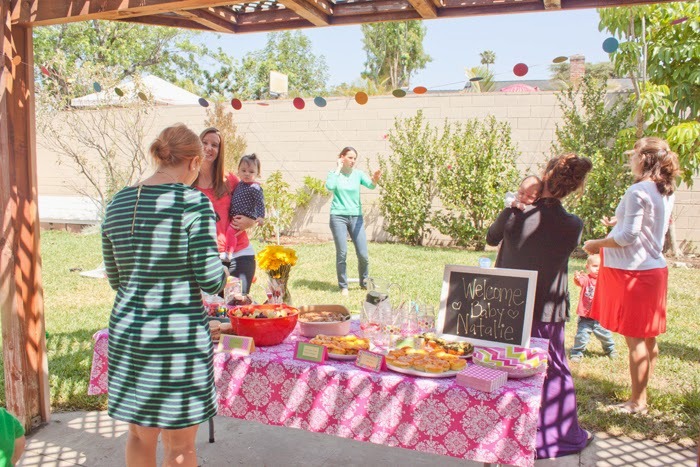 For snacks, guests munched on confetti fruit salad, mini quiches, heart-shaped sandwiches, and a candy bar (especially fun for the kids). 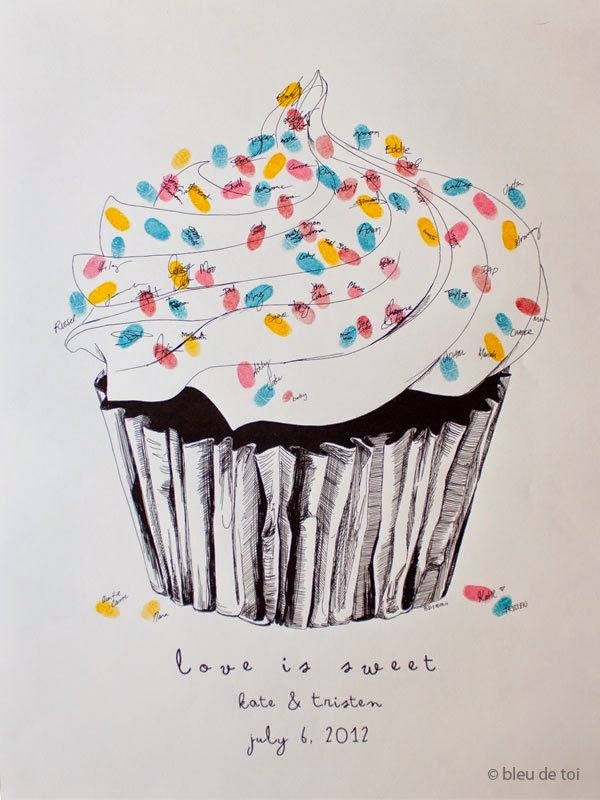 If you're interested in more ideas for a sprinkle shower, BDT's Pinterest page has a "Sprinkles" board full of fun concepts. 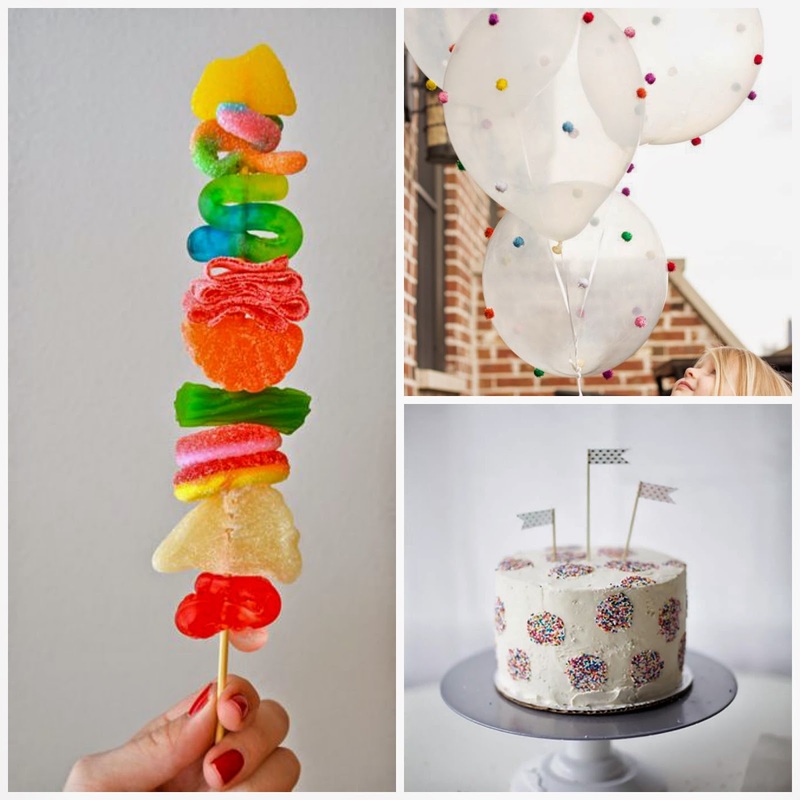 Here's a sample of some favorites: candy kabobs, pom-pom balloons, and a cake with sprinkled polka dots. In a variation on the "sprinkled" concept, you can also opt for an umbrella-themed sprinkle party. 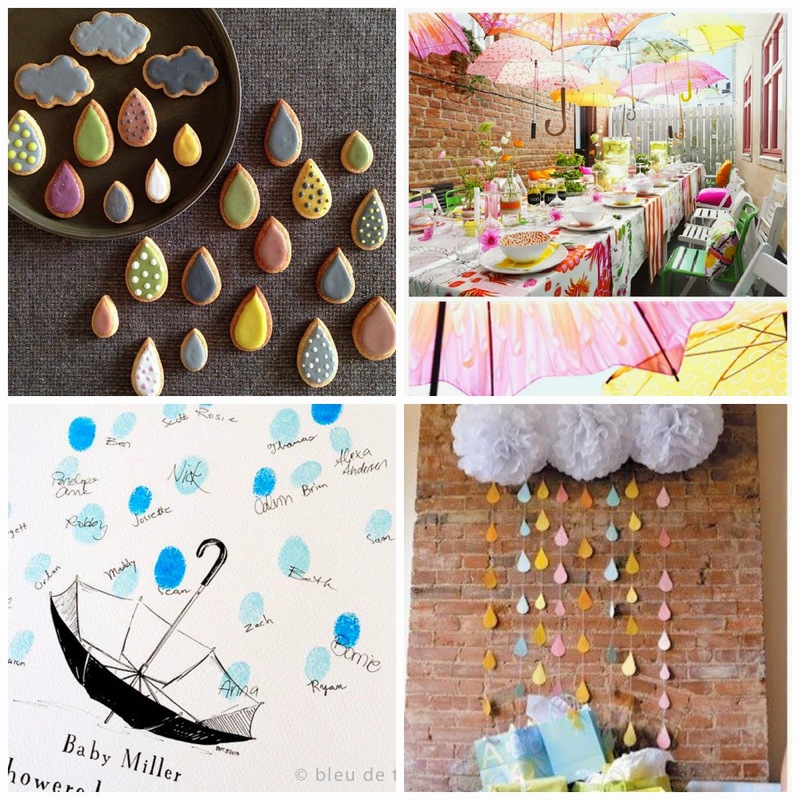 Check out our "Showered" Pinterest board for more on that theme, including hanging umbrellas, adorable cookies, and our BDT umbrella guestbook. The possibilities are endless! 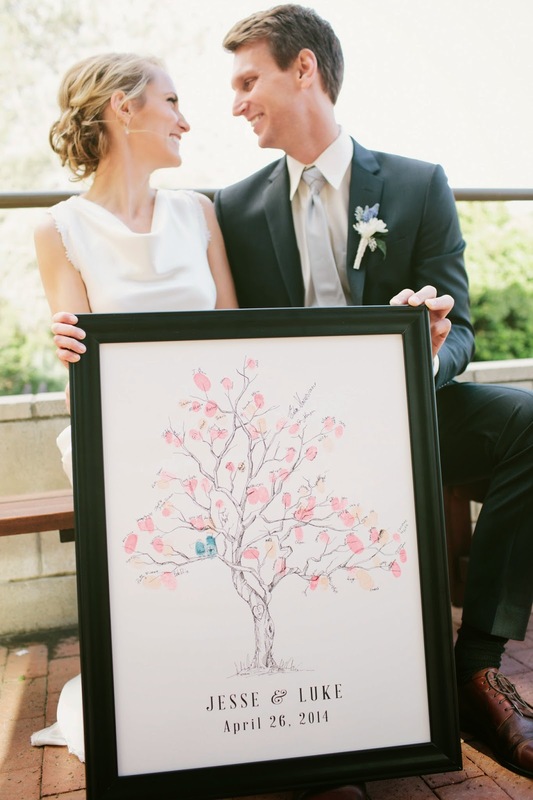 Summer is finally here, and that means wedding season is upon us! Summertime also brings us several opportunities to celebrate outdoors, be it a wedding ceremony or a cookout with friends. One of our favorite outdoor decorating trends from recent years has been the prevalence of "country charm" decor, epitomized in the popularity of mason jars. 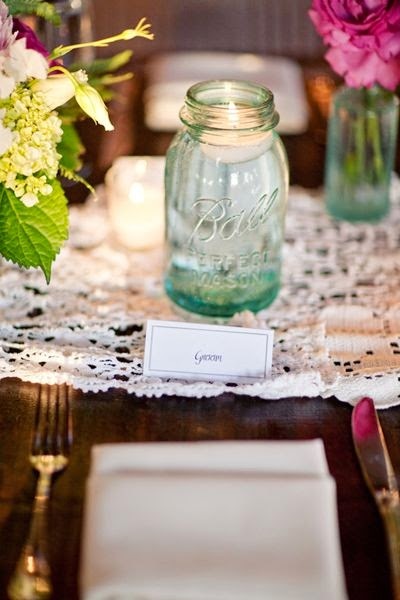 Mason jars are beautiful and versatile, and they give an event a feeling of vintage nostalgia and rustic appeal. As we've searched around on Pinterest and wedding blogs for mason jar ideas, we've compiled some favorites we'd like to share with you! Sometimes simple is best. 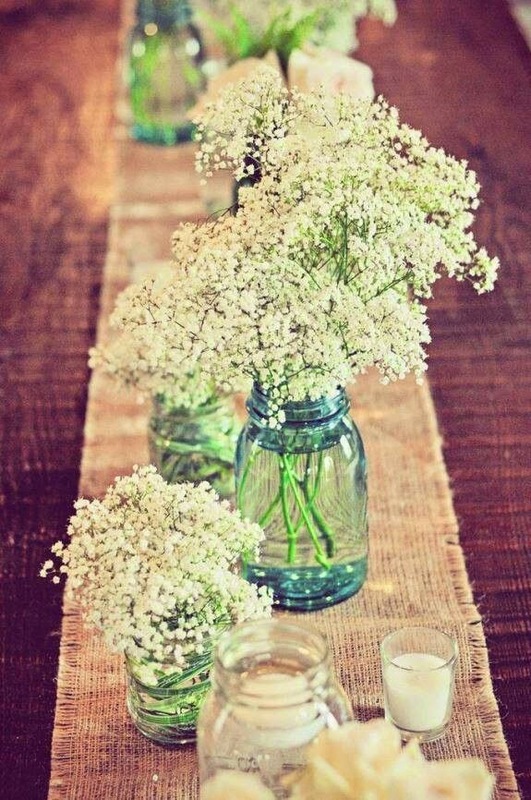 Baby's Breath alone in blue-tinted jars, resting on a burlap table runner. Country-chic, and lovely. 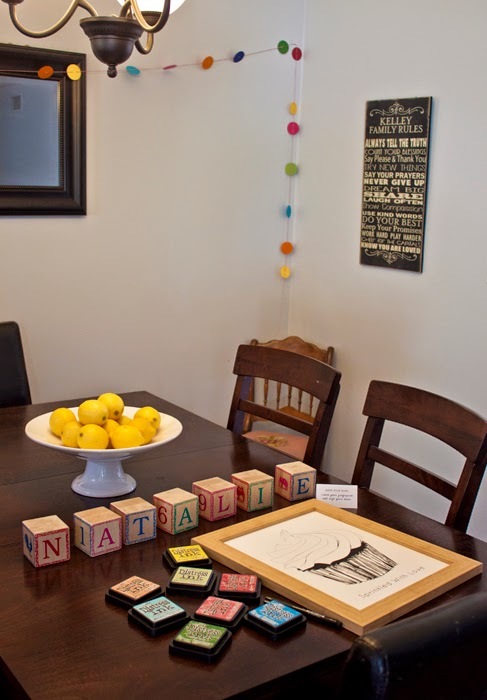 Find jars with a fun or uniform text on them and paint with bright colors. These paper reminders from blueenvelope on Etsy are super cute! 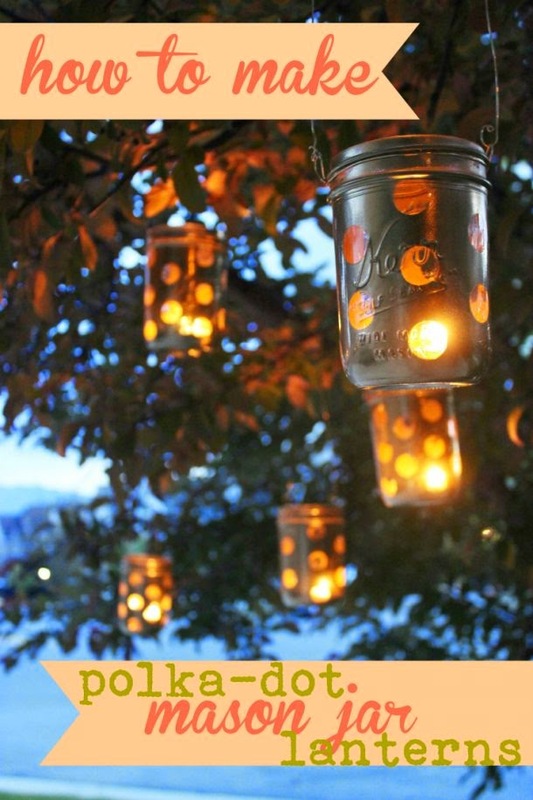 Fill the jar with water and float a tea candle on top for charming event lighting. This tutorial shows you how to use paint to make dotted lanterns. 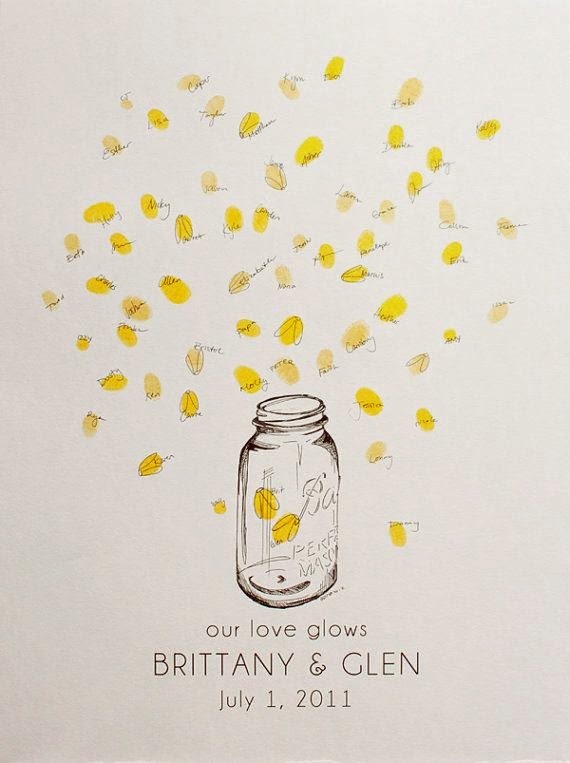 Finally, here at Bleu de Toi, we remembered the joyful days of catching fireflies in jars and created our Mason Jar guestbook around that special memory. Catching magic; holding it in your hands; watching as fireflies glow brightest when they're together. 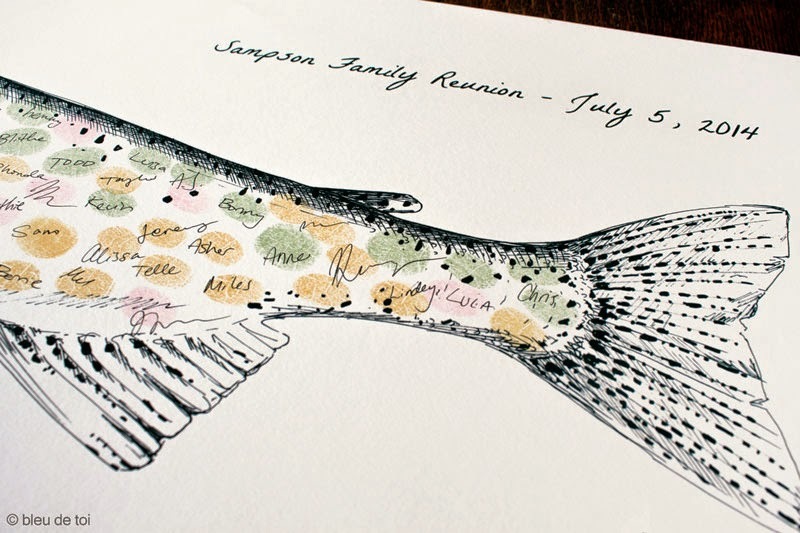 What a perfect symbol for any summer gathering! 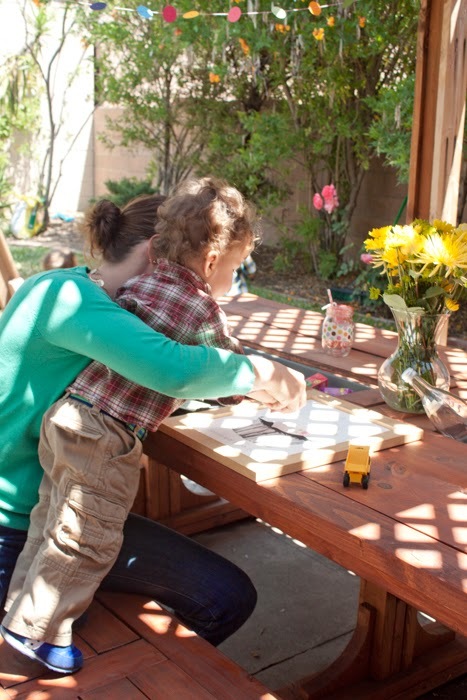 For more ideas of what to do with mason jars, check out this exhaustive list! 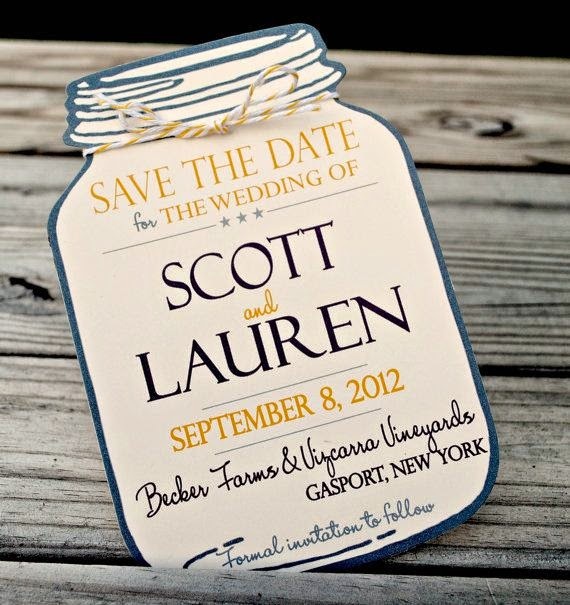 And for more tips on rustic event decor, take a look at BDT's "Country Charm" Pinterest board.